Forza Motorsport - The Forza Racing Championship Returns! The Forza Racing Championship returns in April! Today, as part of the announcement of Forza’s new six-year partnership with Porsche (click here to learn more), we’re thrilled to let fans know that the premier racing esports program is set to return with Porsche as its title sponsor. 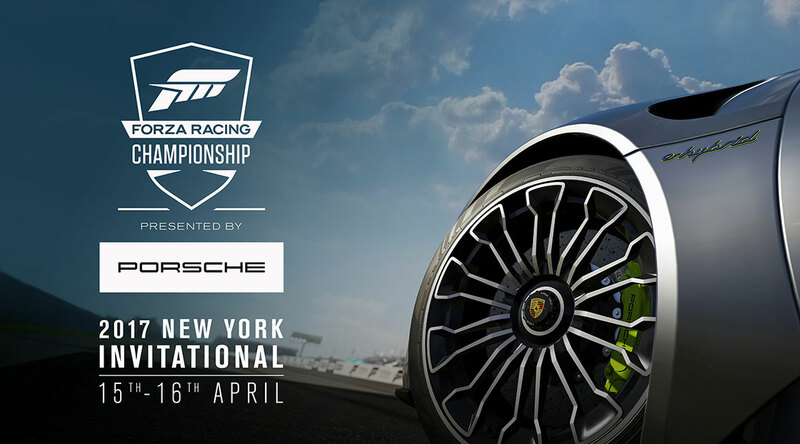 Read on for all the details on our New York Invitational event, as well as the first details on Season 3 of the ForzaRC, where players from all over the world will be competing for amazing prizes. The opening round of the New York Invitational will start at 1 p.m. Eastern (10 a.m. Pacific) on April 15, and will include qualifying races that will set up the Invitational Grand Finals, which will be held on April 16, beginning at 1 p.m. Eastern (10 a.m. Pacific). In addition to the Invitational racing action, the broadcast will also include exhibition events, special guests, and a few surprises as well. ForzaRC Season 3: The Porsche Cup – Register Now! Registration for Season 3 of the Forza Racing Championship is available now, so don’t wait, get yourself signed up and ready to compete! In addition, look for more great Porsche events, including new Porsche-themed Rivals and Bucket List “ForzaRC”-themed challenges in Forza Horizon 3, a new Porsche Cycled Production Hopper in Forza Motorsport 6, as well as our ongoing cycle of Porsche-themed #Forzathon events in Forza Horizon 3, where players can earn awesome Porsche reward cars just for completing events! The Forza Racing Championship Season is nearly here. Don’t forget to tune into the New York Invitational shows on April 15 and 16, and register for Season 3 now!